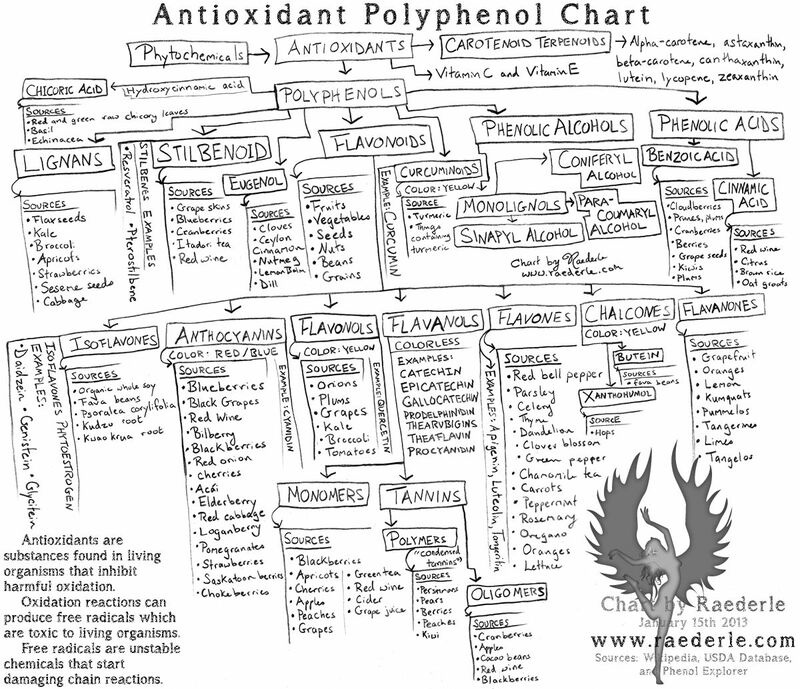 Raederle: What is the relationship between polyphenols antioxidants, flavanols and lignans? What is the relationship between polyphenols antioxidants, flavanols and lignans? 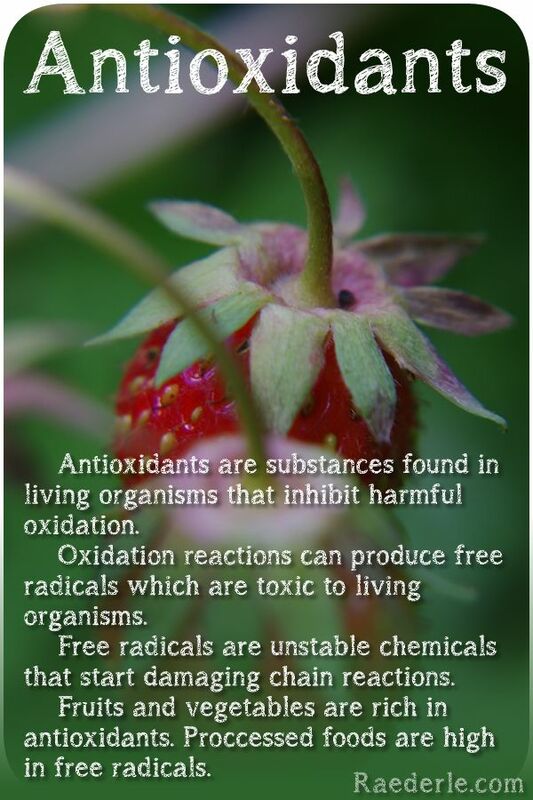 It it commonly said that antioxidants have anti-cancer properties, as well as every other health benefit imaginable, from preventing pathogens to reducing seasonal allergies. "Phenolic compounds have diverse defensive functions in plants, such as cell wall strengthening and repair (lignin and suberin) and antimicrobial and antifungal activities. Some polyphenols are phytoanticipins, compounds with a defensive role that are not synthesised in response to a pathogen attack but rather are constitutively present in plant cells. "Phenolic constituents occur on the surface of plants or in the cytoplasmic fraction of the epidermal cells, where they act as a deterrent to pathogens. In contrast, phenolic phytoalexins are secreted by wounded plants or in response to incompatible pathogens. The induced defense response includes cell death and the formation of a lesion that limits the growth of the pathogen. Cells around the lesion accumulate polyphenols and other antibiotic compounds." The average article will talk about one antioxidant such as resveratrol (found in red wine and grapes) or rutin (found in buckwheat and asparagus). The article will mention a handful of foods, a handful of benefits, and it'll throw out a handful of other terms such as "flavonoid" or "polyphenol" or "phytochemical." This is all well and good, but it doesn't explain the relationship between all of these substances. Hence, this page will serve as a somewhat comprehensive reference for polyphenols (which are antioxidants). Click here to view my chart fullsize in a new tab. Flavanones include hesperetin, naringenin, and eriodictyol. Food sources: citrus fruits such as oranges, grapefruits and lemons. Anthocyanidins include pelargonidin, cyanidin, delphinidin, petunidin, and malvidin. Food sources: black grapes, and red wine. Isoflavones include genistein, and daidzein. Food sources: organic soy (not overly processed soy products). Polyphenols also include phenolic alcohols. Phenolic alcohols include coniferyl alcohol, sinapyl alcohol, and para-coumaryl. Food sources: possibly pine-needle tea. Polyphenols also include phenolic acids. Phenolic acids include benzoic acid, and cinnamic acid. Benzoic acid includes gallic acid. Food sources: Pomegranates, rooibos tea, flax seeds, watercress, grape seed, gallnuts, sumac (culinary spice with tart flavor), and tea leaves. Cinnamic acid includes caffeic acid, and ferulic acid. Phenolic acids include tannic acid. Food sources: grapes, green tea, and persimmons. Food sources: coffee, blueberries, kiwis, plums, cherries, red wine, apples, brown rice, oat groats, artichokes, oranges and pineapples. Flavones include apigenin, luteolin and tangeritin. Apigenin food sources: parsley, celery, rosemary, oregano, thyme, basil, coriander, chamomile, cloves, lemon blam, artichokes, spinach, peppermint, red wine and licorice. Luteolin food sources: celery leaves and seeds, green pepper, thyme, perilla, chamomile tea, carrots, olive oil, peppermint, rosemary, lentils, black olives, navel oranges, clover blossom, lettuce, globe artichoke, dandelion, and oregano. Tangeritin food sources: tangerine peels, and citrus peels. Flavonoids include flavonols (not to be confused with flavanols). Flavonols include isorhamnetin, kaempferol, myricetin, proanthocyanidins (condensed tannins), quercetin, and rutin. Isorhamnetin food sources: almonds, chives, dill weed, fennel leaves, red onion and turnip greens. Kaempferol food sources: broccoli, tea, grapefruit, curly raw endive leaves, cabbage, kale, beans, endive, leek, tomato, strawberries, grapes, Brussels sprouts, and apples. Myricetin food sources: walnuts, red wine and grapes, onions, tea, and berries. Proanthocyanidins food sources: chokeberries, rose hips, cacao beans, berries, persimmons, grapes and red wine, peaches, apples and apple cider, pears, and green tea. Quercetin food sources: black chokeberry, cranberry, lettuce, quince fruit, apples, citrus fruits, onions, parsley, red wine and grapes, tea, bilberries, blackberries, blueberries, dark cherries, and buckwheat. Rutin food sources: buckwheat, asparagus, citrus fruits and their rinds, cherries, apricots, green peppers, rooibos tea, blueberries, blackberries, and mulberries. Flavanones include eriodictyol, hesperetin, and naringenin. Food sources: peppermint, kumquats, lemons, pumellos, limes, grapefruits, oranges, tangerines, tangelo, artichokes, red wine and white wine, basil, dill weed, thyme, rosemary, lemon balm, terragon, chives, coriander, garden cress, parsley, and watercress. Flavonoids include flavanols (and their polymers). Flavanols (and their polymers) include catechin and gallocatechin (gallocatechin includes catechin just as the name implies), epicatechin, and epigallocatechin, theaflavin, thearubigins, and procyanidin. Catechin/epicatechin food sources: Green tea, cacao beans, oolong tea, kiwi, apples, apricots, nectarines, pears, plums, blackberries, red raspberries, cranberries, cherries, raisins and grapes and red wine, rhubarb, and barley. Gallocatechol/gallocatechin food sources: green tea, bananas, persimmson, almonds, plums, cacao beans, kiwi, apples, and pomegranate. Theaflavin and Thearubigins food sources: fermented teas—The tea will be "black" but not all black teas are fermeneted. These two antioxidants are only found in fermented tea, not in green tea before fermentation. Procyanidin food sources: apricot, nectarine, kiwi, pomegranate, peach, blackberry, strawberry, green beans, persimmons, cranberries, apples, cacao beans, and red wine. Isoflavones include daidzen, genistein, and glycitein. Food sources: organic unproccessed soy beans, fava beans, psoralea corylifolia (Indian bread root), kudzu root and kwao krua root. Food sources: grapes, bilberry, blackberry, blueberry, cherry, cranberry, elderberry, hawthorn, loganberry, acai berry, raspberry, apples, plums, red cabbage and red onion. Food sources: grapes, cranberries, and pomegranates. Food sources: red wine and grapes, chokeberries, and saskatoon berries. Food sources: raspberries, strawberries, blueberries, blackberries, plums, cranberries, pomegranates and red kidney beans. Food sources: raw cranberries, blueberries, plums, grapes, and cherries. Food sources: chokeberries, saskatoon berries, and muscadine grapes. Polyphenols include a classification called Other Polyphenols. Food sources: Cloves, ceylon cinnamon, nutmeg, lemon balm, dill, and Japanese star anise. Lignans include lariciresinol, pinoresinol, secoisolariciresinol, matairesinol, sesamin, and arctigenin (to name a few). Food sources: flax seeds, kale, broccoli, apricots, strawberries, seseme seeds and cabbage. "Natural Polyphenols" by Duke Liberatore and Jan Mcbarron, M.D. Note: This is where I found reference to bilberries being a source of anthocyanins. Note: This is where I found many of the food sources of various flavanoids. Note: This is where I got the food sources for stilbenes. Note: This is where I found "Itadori tea" as a stilbene source. Note: This is where I found information on the three kinds of phenolic alcohols. Note: This is where I found the food sources for benzoic acid. Note: This is where I found the two primary types of phenolic acid. Note: I found this in particular to find cinnamic acid food sources, but from there continued to use it as a reference for many other things included on this page. Note: I found this page when looking for the color of flavonols. Note: I learned from reading this that there are definitely properties (benefits) of fruits that are not found in vegetables, which I personally find fascinating. I think it would be safe to assume that a reverse is true, especially when considering chlorophyll. Note: This is where I found plums, apples and almonds as a source of gallocatechin. Note: This is where I found psoralea corylifolia as a high source for genisteim. Note: This is where I found kudzu root as a source for daidzein. Note: This is where I found tannic acid as a phenolic acid. Note: I wish I had found this earlier on in my research on this topic. This is an excellent resource for figuring out how different antioxidants relate to one another. Note: This is where I found Echinacea as a source for chicoric acid.